An addition to the cannon. I'll be buying the parts to build this soon. 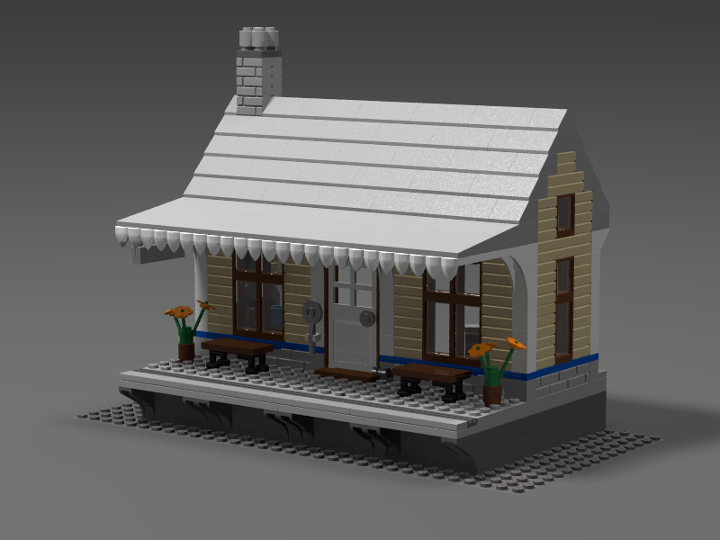 You can see it at my BrickLink Stud.io page (link in signature), and if you download or view in 3D you will see the internal details through the open back for play/display - Winter Village style. 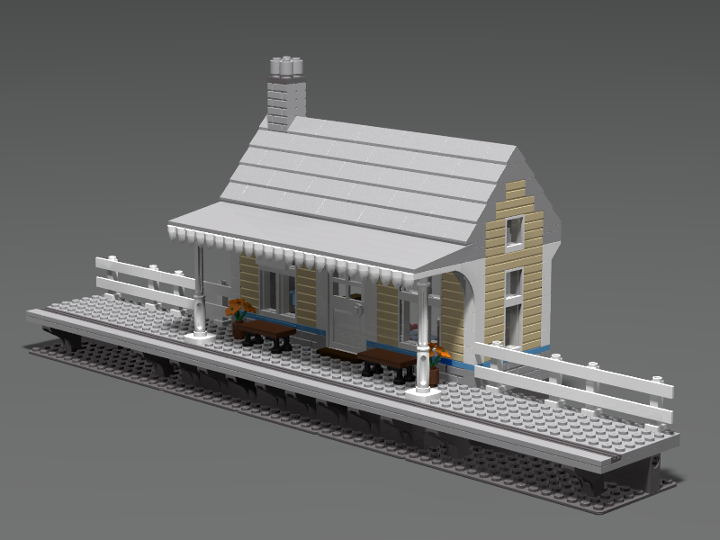 Scaled to fit my short-form EN-style carriages (24-stud plate; also available at my Stud.io page, with other content including more train stuff) which are hauled by a modified PF'd Constitution engine. I like it. I think it would be cool to design extensions for the platform which can connect with pins. Funny you should say that. 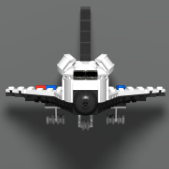 MOC'ing it up in LDD right now so it can take my two EN-style cars. Modular platform extensions was my knee jerk reaction too. It would be interesting to have the option to have the awning over the platform on the extensions. Alternate version with basic platform extensions. With those extended platforms it looks much better now. And am I correct that the back (or front/entrance depending on how you look at it) of the station is open? I kind of expected to see more of that part and a nice entrance or so. And am I correct that the back (or front/entrance depending on how you look at it) of the station is open? I kind of expected to see more of that part and a nice entrance or so. This looks great!! Much prefer it with the extensions. 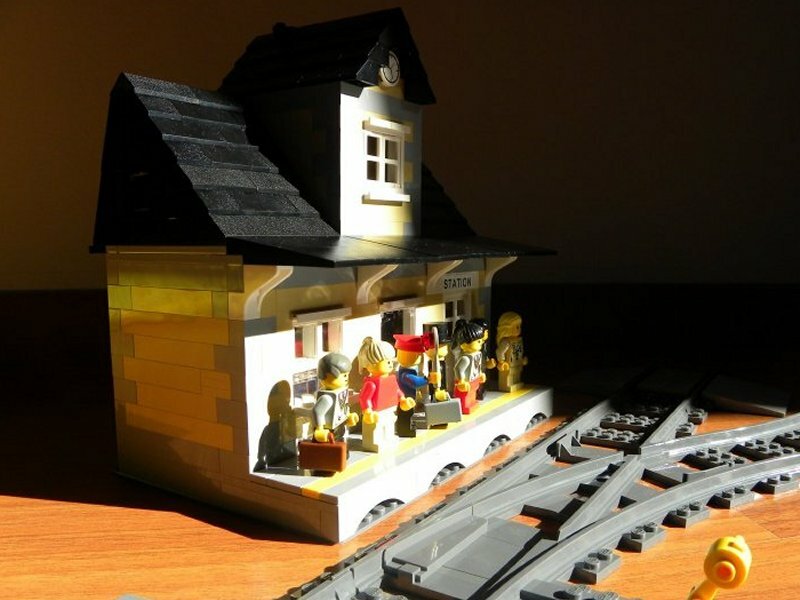 ...I've a similar little station but I want to improve the roof of mine like you have done! Ah yes, I forgot about a dormer - a regular feature of traditional British train stations. And somewhere to hang a clock! Cute little station but I'd extend the roof a stud or two past the gable walls to make eves.